The figures from this latest Daft.ie Sales Report show a sharp increase in prices around the country, for the second quarter in a row. The national average list price in June was 8.8% higher than in December. To put that in perspective, prices rose by 8% in the whole of 2016 – and by 8.5% in 2015. 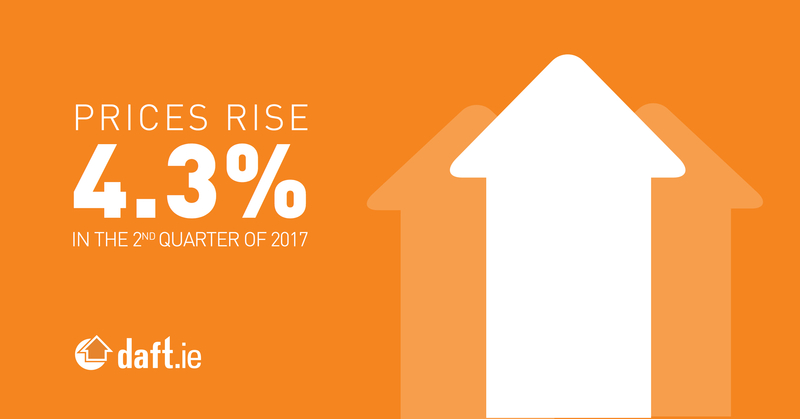 If the first half of 2017 is anything to go by, price increases are likely to match or exceed those in 2014, when they rose by 14%. That year, it was Dublin that drove those trends, with prices in Dublin rising by 21% during 2014, compared to 9% elsewhere in the country. And it seems as though the same pattern is re-emerging in the 2017 market. 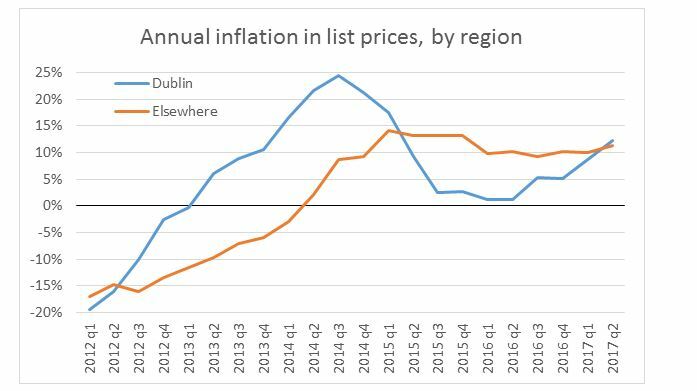 As shown in the graph accompanying this article, annual inflation in the Dublin market exceeds the rate elsewhere in the country for the first time since early 2015. What took the steam out of the Dublin market in early 2015 was the introduction of the Central Bank’s mortgage rules. They were designed to anchor housing prices to the real economy, in other words to reflect supply and demand – especially household incomes. Before those rules were mooted, there was next to nothing – other than collective memory of how bad the last bubble was – to stop another credit-fuelled bubble from happening. Expectations about future house price increases are central to bubbles and, as of late 2014, those expectations were high. In Dublin, for example, survey respondents in late 2014 expected prices to increase by 12% in the following year. The Central Bank rules, though, by requiring a minimum deposit in particular, took the sting out of a potential housing bubble. Expectations of price increases fell dramatically from 12% to just 3%. The effect was obvious, especially in the Dublin market. Price inflation fell from almost 25% to 1%. What has changed? In terms of the underlying market fundamentals of supply and demand, very little. As outlined in my commentary to the January report, the country still needs at least 40,000 and probably closer to 50,000 homes of all types every year. And still it gets just a small fraction of that – with perhaps just 3,000 new homes added by the professional construction sector in 2016. All of this would point to prices rising as fast as is consistent with the Central Bank rules. But what happens when those rules change? This is what happened late last year. The rules were changed in quite a specific way: all first-time buyers now face a 10% deposit, rather than the 20% faced by the rest of the market on anything over €220,000. This means that first-time buyers buying expensive homes have seen the biggest reduction in the deposit required. To give an example, someone buying a property in Dublin worth €250,000 has seen the required deposit fall by just over 10% (from €28,000 to €25,000). But someone buying a property worth €660,000 has seen their deposit requirement fall by 40% (from €110,000 to €66,000). Therefore, we would expect the change in the Central Bank rules to have the largest effect on the most expensive markets in the country. And, by and large, this is what we have seen in the last six months. Prices in Connacht and Ulster have risen by 6% in the last six months. 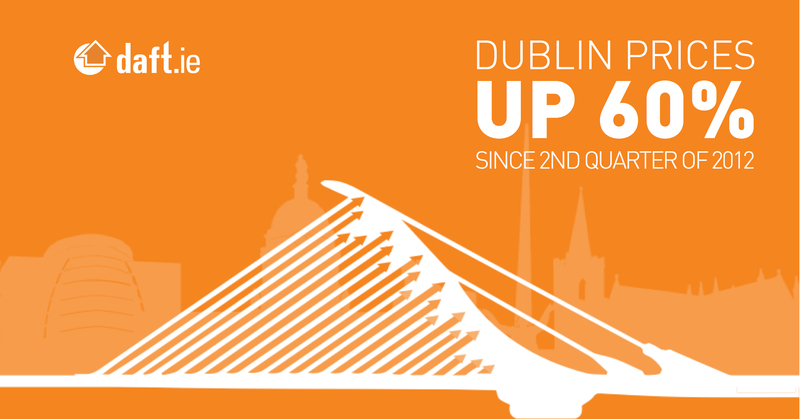 But prices in Dublin have risen by 10% in just six months. In Dublin 2 and Dublin 8, two of the country’s most expensive markets, prices are up by 16% since the start of the year. Some might argue that what we are seeing is the effect not of the change in Central Bank rules, but rather the almost contemporaneous Help-to-Buy scheme brought in by the Government in the last Budget. There have simply not been enough new homes sold in the first half of 2016 for this to explain such market-wide trends, however. More importantly, though, the Help-to-Buy scheme would have had opposite effect across cheaper and dearer markets. Its caps were such that its impact would be greatest in the cheaper segments of the market. Those buying new homes above €400,000 have a smaller percentage rebate, while those buying above €600,000 have none at all.